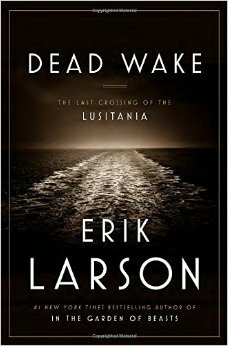 Before reading Dead Wake: The Last Crossing of the Lusitania I didn’t know much about the story of the Lusitania, and now it’s a story I’ll never forget. Erik Larson is such a storyteller and the tale of the Lusitania was so vividly brought to life in the pages of this book. So much research went into finding tons of small scraps of information about the disaster and weaving them into a full picture of the event itself and many of the people aboard the final crossing. The individual stories of the people who lived the nightmare make you so invested in the story itself and the outcome. History books must be done well to not read as dull and monotonous …Erik Larson can definitely write history in such a away that you get sucked in. I couldn’t stop reading this one, and it’s one you definitely don’t want to miss!